Motorola sure seems to be out of ideas for Moto Mods. Not only have they mostly failed to deliver any meaningful Mods for you and I to buy today, but they are asking for your help with concepts for what customers may actually want to buy. While their implementation of modularity to phones is the best in the business, it’s clear that they are struggling to generate buzz and appeal. With that said, the next potential module could be a nice add-on for tech lovers who want to play with the future of real-life gaming or applications. According to PCMag, who spoke with Motorola’s current CEO, his company is “likely” to introduce a Project Tango module to the Moto Z. That would mean the experience you’ll see on the Lenovo Phab 2 Pro – world’s first Tango phone – on your Moto Z. What is Project Tango, or just Tango these days? Tango is Google’s augmented-reality-esque platform that uses multiple cameras to render spaces in real-time, before letting you then interact in those spaces with the phone. It’s a wild idea, one that lets you play games on your coffee table through your phone, checkout furniture in a space before you buy it, measure real-world items, etc. Since Lenovo and Motorola are one-and-the-same these days, it could be a heck of an idea for Motorola to adopt the Tango stuff that Lenovo has worked on and bring it to the Moto Z. 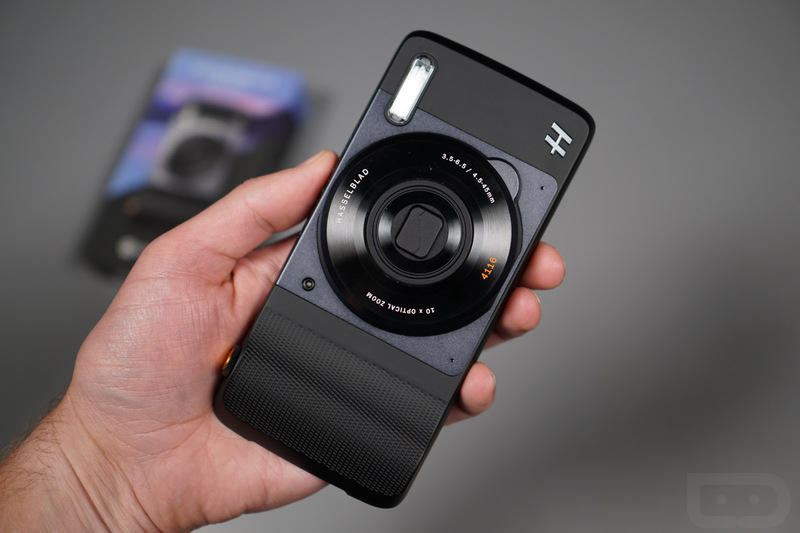 By creating a Moto Mod with multiple cameras that are Tango-ready, a simple slap on the back of a Moto Z could make for a fun experience. Plus, the Moto Z is a much smaller device than the oversized Phab 2 Pro and may be more a more appealing form. Moto’s CEO didn’t say much else, only that they plan to “lead” the augmented reality market and could do so by bringing the tech to the Moto Z. That interest any of you Moto Z owners?